Ellwood Function Centre provides a fully serviced function facility including co-ordination, cleaning, decor and styling, assistance with aspects of planning and executing all nature of functions:- Conferences, Dining, Corporate Functions, Weddings, Seminars, 21st and other birthdays, Reunions, AGM's, Funerals, Fundraising Events, Expo's, Trade Fairs and more. The following costs are indicative only. Please ask for a specific quote to meet all your needs. Quotes are calculated relative to time, equipment and staffing requirements. Set up room - configured to meet each clients need. Staff for bar - guest numbers determine the staffing requirement. All additional requirements will be discussed and quoted accordingly. The following rates are a guideline only. Following consultation a specific quote will be provided. Please enquire about special rates for Charities, Not for Profit Organisations, Fundraising and Educational Events. Catering services are arranged as per requirement with a strong In-house team for small funcitons. Ellwood is pleased to have the strong support of Greg Miller of Feed Catearing and Valley D Vine as our preferred professional for large functions. Our clients needs are Ellwoods highest priority we will work with each client to secure the menus and results that wow. We want to work with professionals catering teams that consistently deliver execellence. For infomation on the use of Ellwood Function Centre Bar facilities please call - 06 8784797. Depending on the nature of your event there maybe a need for a 'special licence' application to the local council. Ellwood Function Centre will undertake all licence applications on behalf of interested parties. Ellwood Function Centre welcomes the opportunity to host events for all organisations. 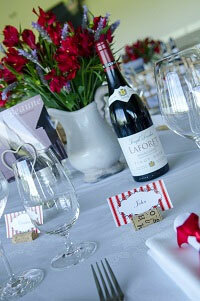 A Function Co-ordinator is available for consultation please call to discuss your specific needs. Catering requirements, decor and event management services are available. Ellwood Function Centre will when necessary contract professional providers to meet clients needs. Please note that rates on this website are indictative only and gst exclusive.